Sam Acquillo is at the end of the line. A middle-aged corporate dropout living in a ramshackle cottage in Southampton’s North Sea, Sam has abandoned friends, family, and a big-time career to sit on his porch, drink vodka, and stare at the Little Peconic Bay. But then the old lady next door ends up floating dead in her bathtub, and it seems that Sam is the only one who wonders why. Despite himself, burned out, busted up, and cynical, the ex-engineer, ex-professional boxer, ex-loving father and husband finds himself uncovering secrets no one could have imagined, least of all Sam himself. 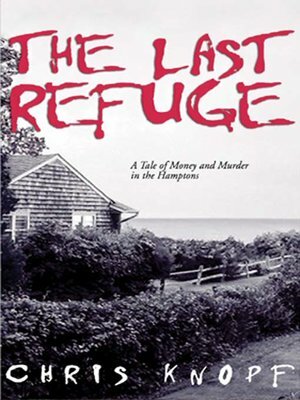 Meanwhile, a procession of quirky characters intrudes on Sam’s misanthropic ways, the likes of which you never knew inhabited the hidden corners of the storied Hamptons: the haves, the have-nots, and the want-to-have-at-all-costs, some of them deadly.